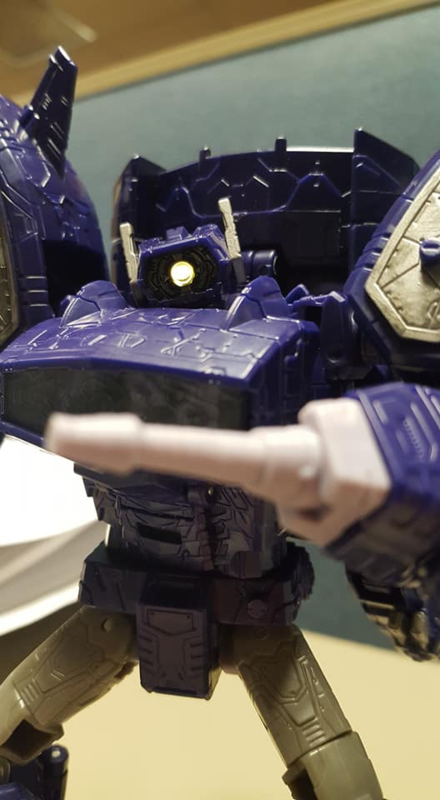 With War For Cybertron: Siege's second wave steadily marching into stores, we have a new video review for Voyager Class Soundwave! 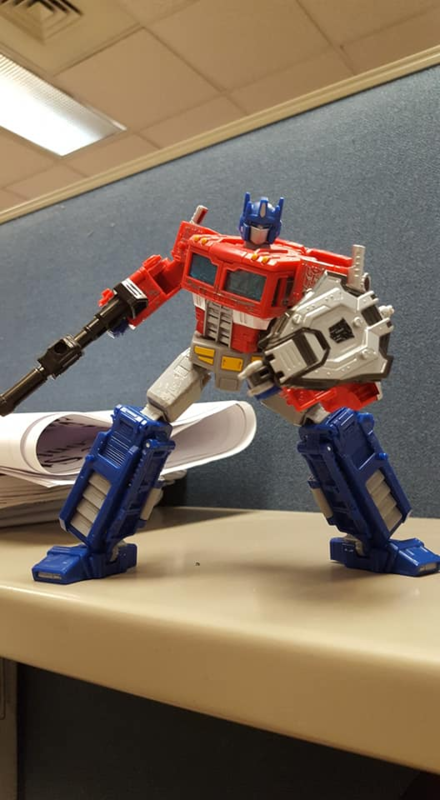 Sent to us by our fellow Seibertronian Maverick Prime and coming from newcomer reviewer Grim Trigger on Youtube, the video goes into considerable detail regarding the figure's detailing in both modes, as well as an intervening step-by-step demonstration of the figure's transformation sequence. 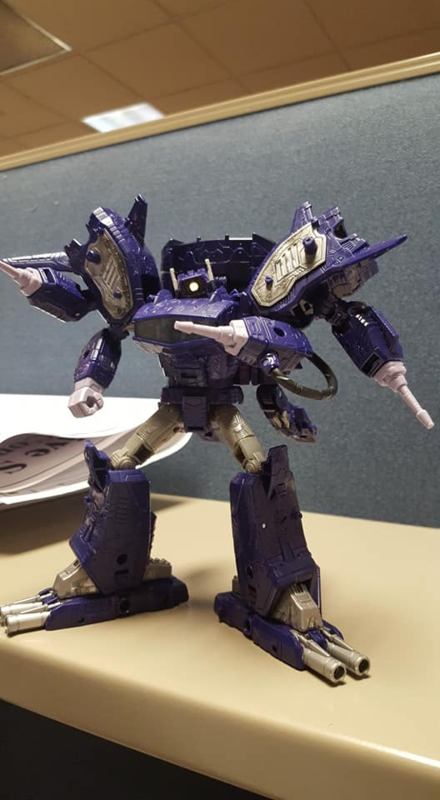 Grim Trigger also brings the figure into comparison with his predecessors, Siege Megatron, Hound, Sideswipe and Ultra Magnus, as well as a Marvel Legends Ant Man figure, and admittedly bizarre choice for a size comparison. 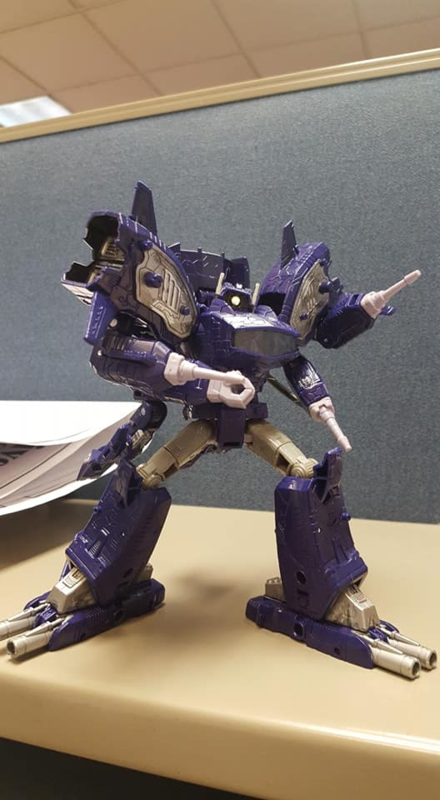 Unfortunately, Trigger neglects to showcase Soundwave's hidden Lamp-mode, though he does mention it briefly while discussing the vehicle mode. The video is provided below, so be sure to take a look! 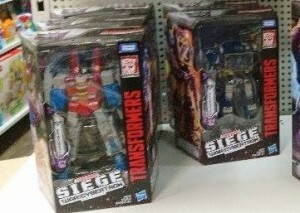 In related news, Soundwave and his fellow Wave 2 Voyager Starscream have both been sighted in Australian retail! 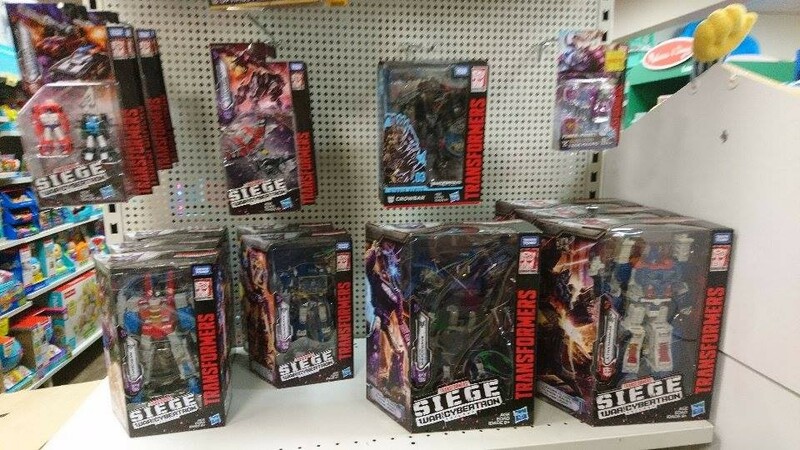 Found at a Toyworld in the Forest Hill Chase Shopping Centre in Melbourne, Victoria by Ozformers member jroam and shared on the Ozformers Facebook profile, the Decepticon duo were sighted alongside various Wave 1 figures, so it appears these newcomers are only trickling out as of now. If you live in the area, the hunt appears to be on! 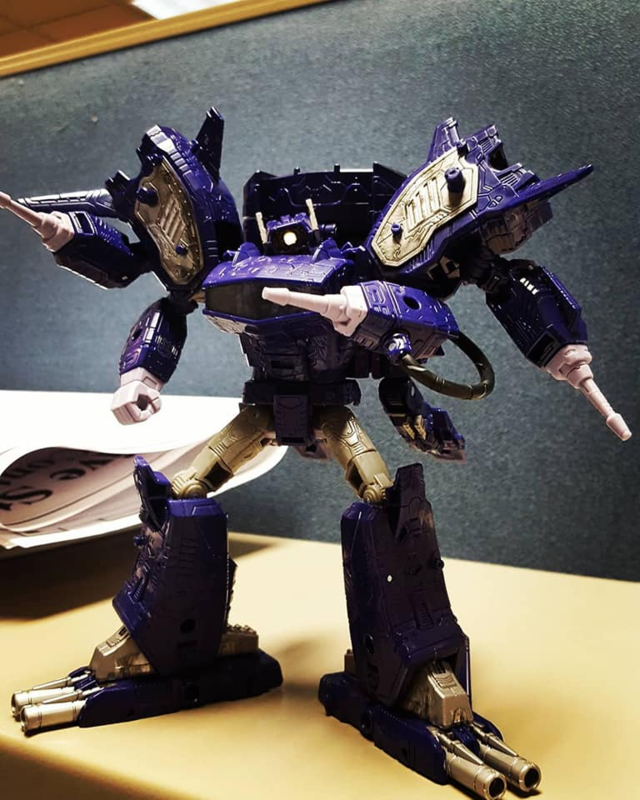 As always, be sure to share your finds in your areas sightings forum, and stay tuned to Seibertron.com for more Transformers news and reviews. They were planned, leaked, wave numbers were set aside, and their existence was confirmed years later. If that is "canceled" then what is it? Things get canceled internally all the time, an official announcement isn't required. And again, those TR figures are not the same as the figures that were cancelled, they wouldn't have designed T30 figures to have a play feature from several years later. It was called Prime War by the end of of combiner wars. Titans return was the one that changed names late in the game. A lot of early promo stuff a a few months before launched was called Titan Wars. Wrong. All three were going to follow a naming theme of Combiner Wars, Titan Wars, and Prime Wars. Early images showing the name "Prime Wars" at events were referring to the third part of the trilogy. The trilogy wouldn't officially be called Prime Wars until PotP was officially announced. This is over 2 years after combiner wars was first announced. TrypticonCarne wrote: No cassette player mode? 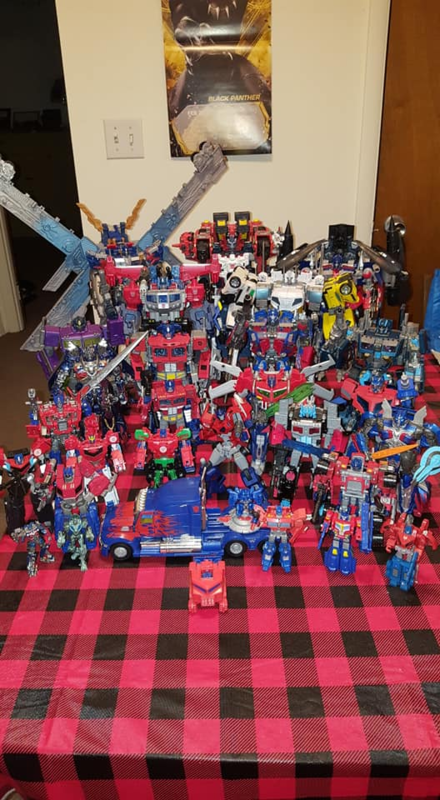 Oh, and just for fun, here is every single Optimus I own, and you can see where Siege fits in overall! 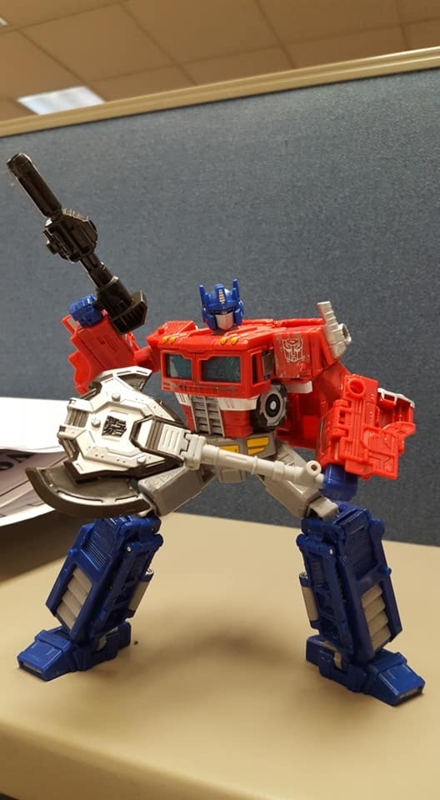 Technically, that is God Magnus Prime, but Alternatively, he's Powermaster Optimus Prime combined with the Apex Armor. 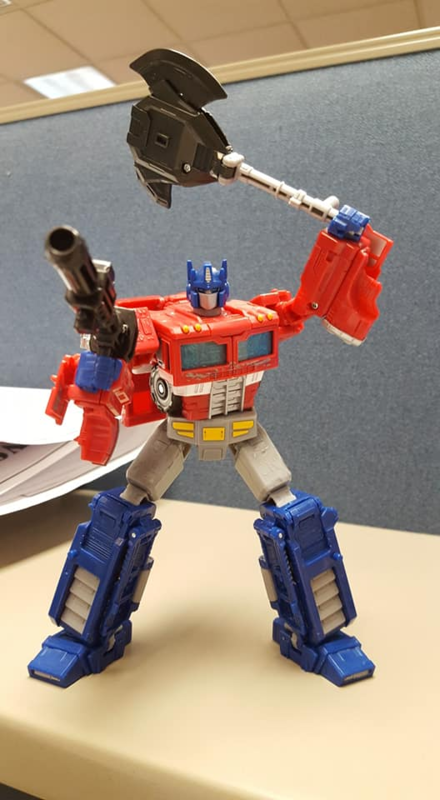 I show him as God Ginrai, but I couldn't leave him out of this picture. 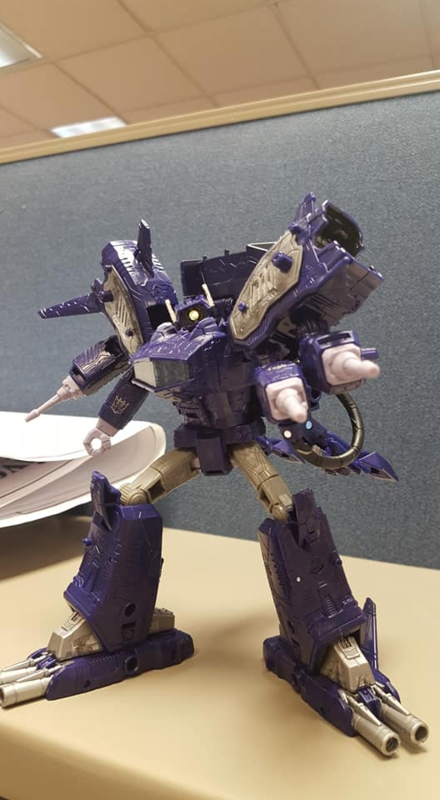 Although I will say, I am glad we got that in Titans Return/Legends. while it would be awesome to get him in Siege with the gimmick and such, I think it's awesome we at least got him already. Still want a Star Saber with Victory Leo though. that needs to happen. Some Decepticon Redecos just got into Australia. Hyperdrive and Blackjack. Albatross250 wrote: Some Decepticon Redecos just got into Australia. Hyperdrive and Blackjack. Well, that came out of absolute nowhere. Shame they're just straight up repaints of the hot rod patrol, but what can you do? I wonder if we'll get any other reveal from Australia Toyfair. I highly doubt it, but who knows? 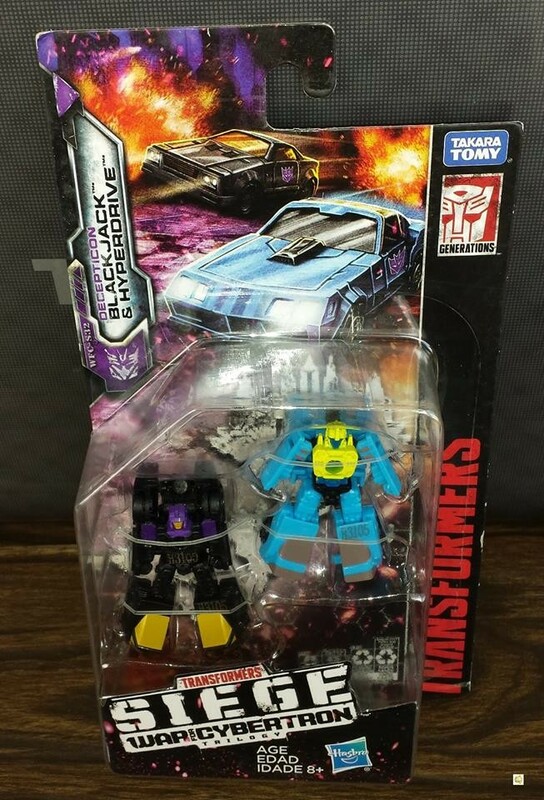 Thanks to the Ozformers Facebook page, we have word that there has been an exclusive War for Cybertron Siege reveal at Toyfair Australia 2019: the Micromaster Sports Car Patrol! 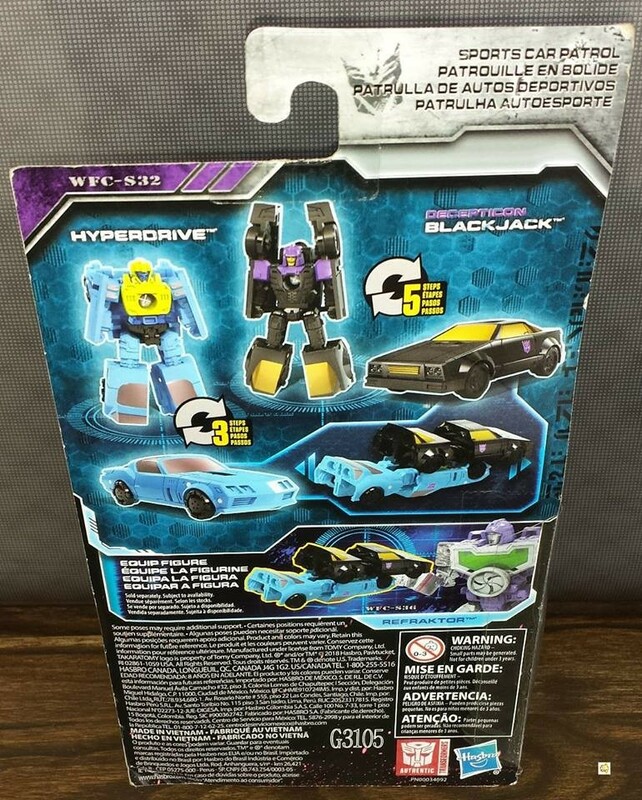 The Micromaster Sports Car Patrol consists of Decepticons Blackjack and Hyperdrive, who are slight remolds of the Wave 1 Micromaster Race Car Patrol of Roadhandler and Swindler, now coming in black and purple and teal and yellow colors! 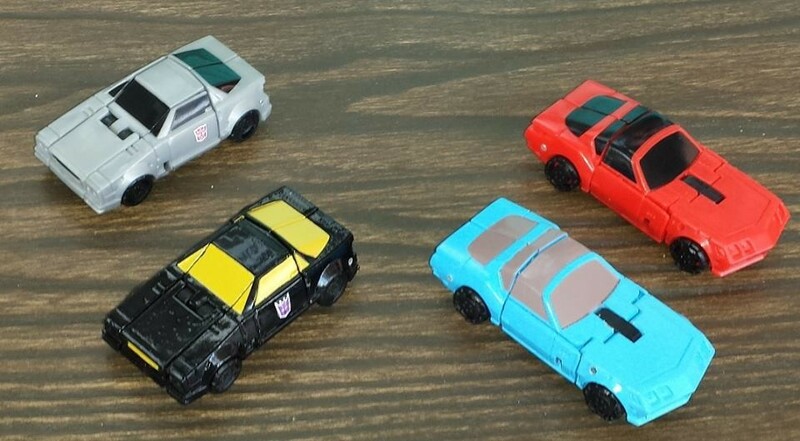 The Siege Micromasters are of course only half of the original team, with Detour and Road Hugger getting cut this time. The pair are able to combine into a strange sports car gun thingy. You can check out the images of the team taken below, and let us know what you think of the newly revealed Micromasters, who are also the first Micromaster reveals past wave 2, in the comments section below! And as always, stay tuned to Seibertron.com for all your latest Transformers news and galleries. On the contrary, I 100% expect more, given that the post writer says they'll be back with more news (they even called the post Part 1) and that this is the same event where PotP Inferno, Outback, and Cindersaur were officially revealed last year. Fingers crossed for Barricade (and that he's not rubbish)!